Monifieth is a great town situated on the north bank of the Firth of Tay that we are very proud of. It has managed to mix wonderful facilities with open space and has something for about everyone. 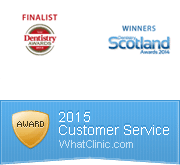 If you’re in the process of searching for a dentist in Monifieth then it is certainly well worth taking a closer look at Vita Dental Spa. We are excited at Vita Dental Spa to introduce you to our new website & Blog. This is where we plan to share our thoughts on the subjects we think you would like to hear about. The latest’s news, offers or just share what is on our minds?